Protein, calcium, iron? No worries, we’ve got you covered. Here are the nuts and bolts of nourishing yourself with healthy plant-based foods. Beans and lentils provide a hefty dose of protein, and many are also great sources of iron. Kidney beans, split peas, and tofu (tofu is made of soybeans) are some of the best sources of both. 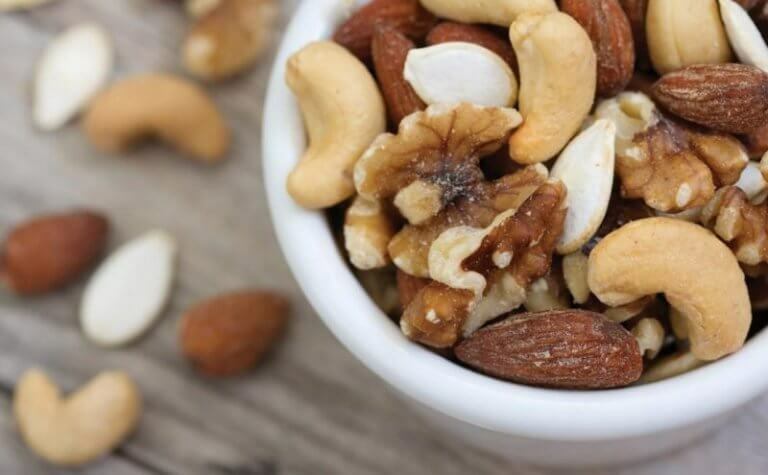 Nuts and seeds are not only great sources of protein and iron; they also support a healthy immune system. Some of the best options are peanut butter, walnuts, almonds, and pumpkin seeds. Vegetables are pretty much the healthiest foods on the planet. The most nutrient-packed include kale, broccoli, spinach, and peppers. Grains and starchy vegetables are great sources of fiber, iron, and protein. These delicious foods will give you the energy to stay active! Brown rice, pasta, oatmeal, and sweet potatoes are a few of the healthiest options. Fruit is great for hydration and is a fantastic source of fiber, potassium, and antioxidants. Apples, oranges, blueberries, and blackberries are some of the most nutritious. It just got way easier to get all the quality nutrients you need with plant-based foods. With our meal planner, you'll get on-demand help from caring food coaches, full nutrition info, exclusive tips, and personalized recipes daily. Stocking up on healthy plant-based groceries is super easy. Click below to build and download your custom grocery list. Take your health game to the next level. Cutting all animal products from your diet? If so, grab a bottle of B12 vitamins from your local grocer or drugstore. If you don’t get much sun, you may also want D3. Both are cheap and will give you more than enough of the good stuff. Don’t be boring! Fill your plate with foods from every color of the rainbow. Switch up your meals. And be sure to eat from all the plant-based food groups: fruit, vegetables, grains, beans, and nuts. If you feel hungry or sluggish, you’re probably not getting enough calories. Try adding calorie- and protein-rich foods, like nuts, seeds, beans, lentils, and vegetarian meats, to your plate. Leafy greens, like kale, spinach, and collards, are bursting with essential nutrients. Sauté them with garlic, throw them into burritos, salads, or sandwiches, or blend them into a smoothie for an energy boost. Want high-quality protein and iron from plants? These foods are packed with protein and iron. Chow down—your body and taste buds will thank you! Whether black or pinto, kidney or chickpea, beans are cheap, easy to cook, and chock-full of protein. Pop open a can and stuff them into a burrito, mix them with seasoned rice, or drop them into a pot of soup—beans can do it all. Peanut butter is always a great go-to snack, and nuts can do even more. Adding walnuts, almonds, cashews, or other nuts to your cereal, salads, and stir-fries is an easy way to add a protein-packed crunch. Or just eat them right out of the jar. From burgers to sausages and nuggets, plant-based meats are loaded with juicy protein. They’re perfect for quick and easy sandwiches, barbecues, and entrées that will impress even your most carnivorous friends. Delicious as a soup or with onions and carrots over a bed of rice, lentils are a worldwide favorite. And each serving packs a heap of iron and protein. A perfect start to a cold winter morning, oatmeal is brimming with iron and fiber to power your day. Glam it up with nuts, dried or fresh fruit, maple syrup, cinnamon, brown sugar, and almond milk. Great in your morning cereal or smoothie, soy milk boasts as much protein as cow’s milk without the cholesterol. Try different flavors, like original, vanilla, or chocolate, to find your favorite. Worried you’ll miss meat? Here are three easy tips to keep you satisfied and smiling. Plant-based foods have fewer calories and less fat, so if you’re hungry, you probably need to eat more. The USDA recommends 2,000 to 2,500 calories a day; if you’re falling short, bulk up your menu with nuts, beans, grains, and vegetarian meats. Craving the taste of meat? You’re probably just hungry for something fatty, salty, seasoned, and rich in protein. Satisfy the urge with savory dishes that check those same boxes: sautéed mushrooms, hearty three-bean chili, plant-based meats, and more. Remember that perfection isn’t the goal here—none of us are perfect. It’s far better to eat more plant-based dishes, or to eat mostly plant-based dishes, than to do nothing at all. Each meal is a new opportunity to align your plate with your principles. It’s all good. The American Dietetic Association has declared plant-based eating healthy and beneficial for all life stages. Because of the high oxygen and recovery demands of athletes, clean plant-based foods may provide a competitive edge by upping antioxidant and phytochemical intake. Be sure to eat enough calories and scarf down high-protein options, like plant-based meats, beans, lentils, and nuts. One of the greatest gifts parents can give their children is a habit of healthy eating through varied plant-based meals. Encourage kids to eat a wide selection of fruit, vegetables, grains, nuts, seeds, and beans. If your child isn’t eating any animal products, be sure to also provide B12 and D vitamins. While expecting, be sure to eat plenty of protein- and iron-rich foods, like beans, lentils, nuts, and vegetarian meats; omega-3 fats (for brain development) from flax seeds, walnuts, and leafy greens; and vitamin C-filled foods, like fruit, broccoli, and kale. Staples like pasta, rice, beans, and lentils are the keys to thrifty meat-free meals. Buy the largest-size bags you can find, and choose dried beans over canned. For added convenience, cook your meals in bulk once or twice a week. Store-brand foods are usually cheaper than name-brand items and are just as tasty. If you’re on a budget, don’t pay for the label. Go generic and you’ll head home with more green in your wallet. When buying fresh produce, stick to what’s in season and you’ll pay less. For even more serious savings, head to the freezer section to stock up on fruit and vegetables. Frozen produce packs just as much nutritional punch as the fresh stuff.